The onscreen chemistry between Jackie Chan and Chris Tucker in Rush Hour was one of the biggest reasons fans flocked to that series, but a smart mouthed assassin and time traveling mutant might make that dynamic even better. Deadpool creator Rob Liefeld sat down with ComicBook.com's Jim Viscardi to talk all things Deadpool at Comic-Con and teased what fans can expect from the Ryan Reynolds and James Brolin team-up. "He's such a great actor, that's where it starts, and gravitas, and who else really is going to hold their ground with Ryan as Wade/Deadpool. That is energy unbridled, and so you've gotta hold your ground. When I see the two of them I'm like "It's going to be comic book's equivalent to Rush Hour, and I don't know if comic fans are ready for it. I think it's going to be great." If you aren't up on your James Brolin catalog, Liefeld broke it all down to two key films. "If you only see No Country for Old Men and Sicario, you've seen two great totally separate Josh Brolin performances. The Llewelyn who is sullen but determined and doesn't speak much but you follow him the whole time in No Country, and Sicario, he's this wild, shoot-em-up CIA guy.The guy is a tremendous actor." You can watch the entire interview above. Deadpool 2 is directed by David Leitch and written by Rhett Reese and Paul Wernick. Deadpool stars Ryan Reynolds (Deadpool/Wade Wilson), Morena Baccarin (Vanessa), T.J. Miller (Weasel), Zazie Beetz (Domino), Josh Brolin (Cable/Nathan Summers), Karan Soni (Dopinder), Brianna Hildebrand (Negasonic Teenage Warhead), Leslie Uggams (Blind AL), Julian Dennison, and Stefan Kapičić (Colossus). 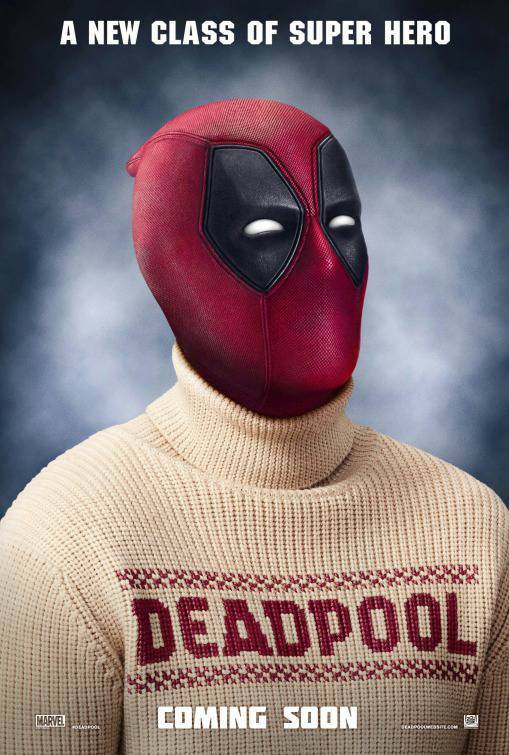 Deadpool's Holiday Blu-ray package is now available and retails for $25.99. Logan is also on Blu-ray and DVD, while Gambit still has a release date of December 31 of 2017, though that is likely going to change. New Mutants has been announced for April 3, 2018, while Deadpool 2 will follow on June 1, 2018. X-Men: Dark Phoenix will hit theaters on November 2, 2018.